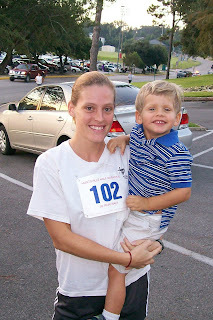 Dawson and I before the race. 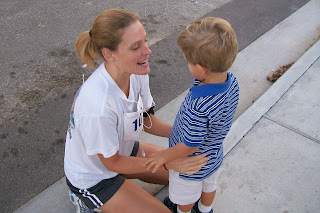 Saying goodbye to Dawson before the race. 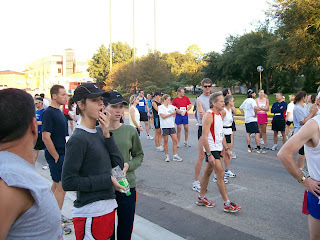 At the starting line, getting ready to go. Waving to Randy and Dawson. 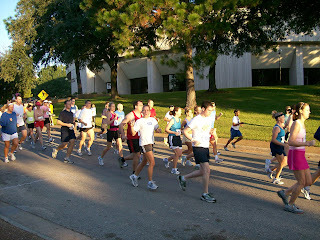 This is the very beginning of the race, which is why I'm still smiling. 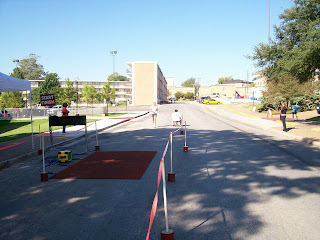 Coming up to the finish line - finally!! 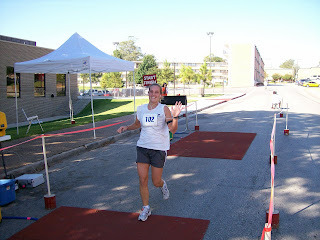 Crossing the finish line and very happy to be done. 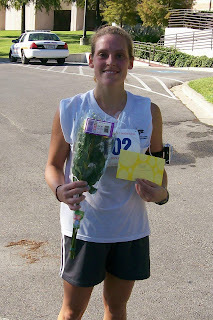 Holding the flowers and card that my sweet family gave me as congratulations.